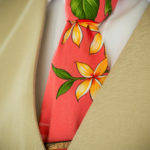 This couple got married at St. Peter’s church in Kona, Hawaii. The small church makes for a very intimate setting for a wedding in Hawaii, with palm trees and ocean just outside the doors. St. Peter’s Church is also located just a 1 minute walk away from a small beach, which offer a neat view of the church in the background. 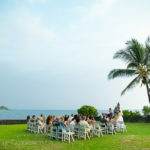 I was excited to be their Kona wedding photographer at this great location.